The Kingdom of Bahrain this week issued a list of 68 organisations, branding them terror groups. The Lebanese Hezbollah tops the list. And there are many Iran-based outfits as well apart from those based in other countries surrounding the littoral Arab Gulf states. The six Arab Gulf countries collectively called Gulf Cooperation Council or GCC states, namely Bahrain, Saudi Arabia, the United Arab Emirates, Kuwait, Oman and Qatar are oil-rich welfare states and tax-free enclaves. They are benevolent monarchies with no history of indigenous terror outfits since their citizens have relatively little to complain about. They have excellence in housing, medical facilities, educational institutions, marriage subsidies, roads and infrastructure. But as you move away from the GCC cluster, the countries either have low oil potential or, like Iraq and Syria, are ridden with warring factions in cut-throat competition. Each wants to gain the upper hand to exploit the national resources and exchequer. And while Iran can claim to have an elected president, after successive elections since the time of Mahmoud Ahmedi Nejad, the world at large by now knows the true nature of its balloting process and the kind of heads of state it props up. It also knows the kind of pressures the puppet president has to put up with at the hands of that permanent fixture called Ayatollah Khamenei. Khamenei’s very designation – Supreme Leader of Iran – makes the elected president virtually subservient to him. As if that is not enough to jeopardize any moves towards true democracy, the Iranian Revolutionary Guards act as handlers for their sleeper cells. 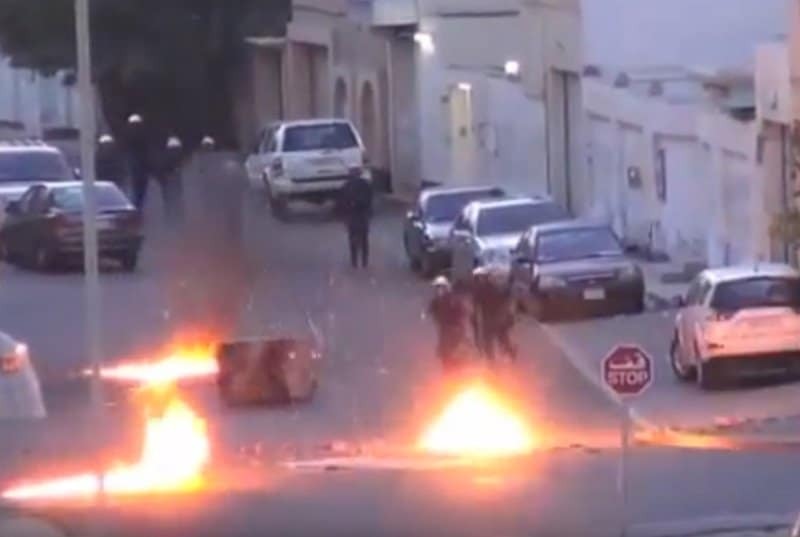 They train target countries’ citizens in guerilla and terror tactics, and have unfettered authority to create trouble where they like, especially in Bahrain, Kuwait and Saudi Arabia. One has to see the Bahrain move in this context and it has been long overdue. For starters, the Hezbollah is an Iran-backed outfit which has wreaked havoc in Lebanon. That it has been eyeing Bahrain was proven only last week when, during the trial of Ali Salman, leader of the high-profile and largest Shia political association called Al Wefaq, the prosecution produced a picture with Salman hobnobbing with Hezbollah leader Hassan Nasrallah. The Iran-backed groups in the list of 68 have the broad agenda of destabilizing Bahrain – and if possible other Gulf countries. They also keep the fire of sectarian divisions in Yemen burning with the supply of arms, ammunition, cash and provision of training to their brain-washed nationals. For other groups, instability offers an opportunity to pick up the crumbs, given their own backyards are war-torn, their cities are in many cases little more than heaps of rubble, cash is in short supply, hardly any jobs going, legitimate ways of raising funds are few and personal safety comes at a premium. And then just across the Gulf waters they notice the oases of peace, plenty and tranquillity, where the life is easy, infrastructure is excellent, and there are no scarcities. The temptation for them is to either try to get a piece of the cake on their own steam as Hezbollah does, or, for the fringe outfits to scramble for crumbs. Yes, it may not all be totally mercenary. The sectarian angle too is present quite often like in the case of Iran and its minions. But that makes the acts of terror all the more sinister. Bahrain, thus, has woken up to the menace or terror groups well in time.